We are very proud to introduce this beautiful Complements Large Sulu Vase. 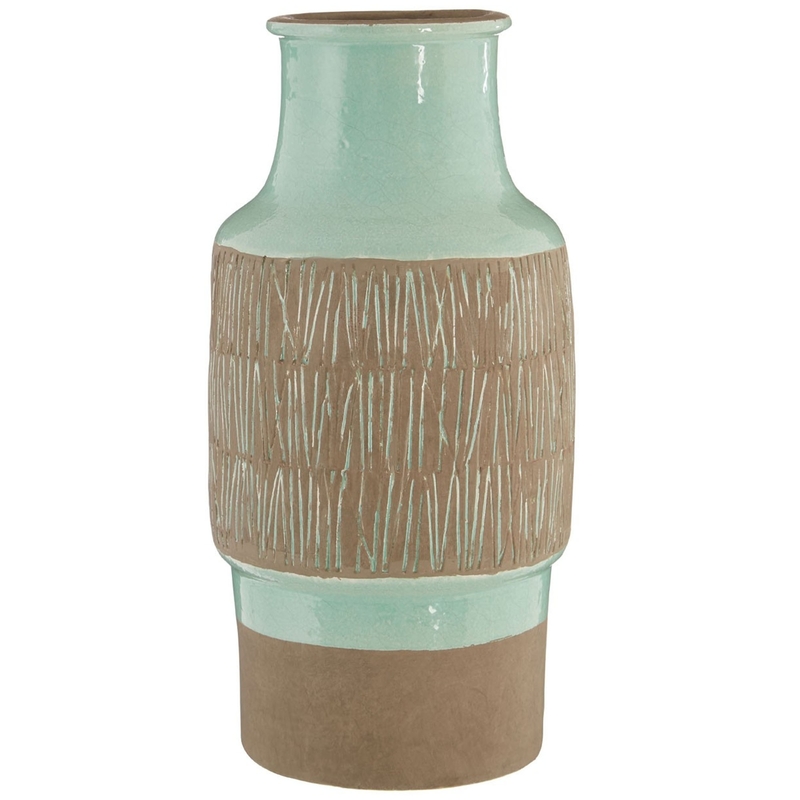 This vase has a splendid design that takes an exotic shape and design, given a cyan colour and brown coloured detailing. The combination of the cyan and brown colours coordinate to enhance the tropical design, whilst also creating a homely and modern style.